One way or the other you know him. 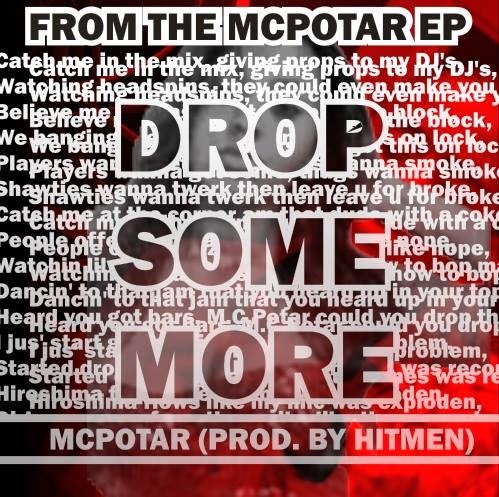 From blogging, being #Provokatif, being a spokesperson for Zim Hip-Hop affairs, Mcpotar has been everywhere. Deciding to go back to his rapper roots he has been in the "kitchen" cooking up The Mcpotar EP. While we impatiently wait on that though his has dropped his first single off the EP called, "Drop Some More". When I first heard the name I was thinking some revolutionary what what about dropping some more realness, but to my surprise it was a "bhawa" (club) track. This was something I had to clear my ears and adjust my equalizer to optimum levels for. I bet you all were as eager as I was to hear what what Mcpotar had to say about bhawa. The beat is nice, shoutout to The Hitmen for that. The intro was a bit off for me, compared to the bhawa tracks I'm used to. Moving along, I actually enjoyed the track it's an upbeat ode to the non-alcoholic bhawa ranger who just wants the DJ to keep dropping some phat jams.